Email is the primary source of communication for most businesses. Because of this, it is imperative for the company to keep track of these emails. The best solutions for managing company emails is using Cloud Email Archiving. This method of archiving automatically stores all sent and received emails in a secure cloud, which is easily accessible and searchable by users. Why is cloud archiving beneficial? Unlimited Storage: Using this tool, you can store years worth of emails without running out of space or clogging up your inbox. Faster Searches: Archiving solutions typically provide easy search functions to retrieve emails using various filter and search options. Prevents Accidental Deletion: Emails that were accidentally deleted can easily be found and restored using the archive. Faster mailbox Performance: When emails are archived in the cloud and deleted from your mailbox, it can speed up the performance of the mailbox. Ensures Compliance: When it comes to rules and regulations regarding data retention, email archiving solutions help ensure that you remain compliant and able to easily access emails in the event of an auditing. Disgruntled Employees: All emails are automatically stored, archived and preserved. In the event of an employee purging their mailbox, you will have a backup of all emails in the cloud. Eliminates PST Files: PST files are easily lost or corrupted as well as large in size. With a cloud archiving solution, you can easily search for emails through an Outlook Plug-In or online portal. Tamper-proof: Email archiving solutions are usually tamper-proof, so non-admin users are unable to make changes or remove emails from the archive. 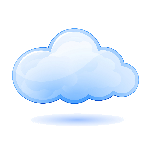 If you are interested in implementing a cloud archive solution into your business, contact us today.